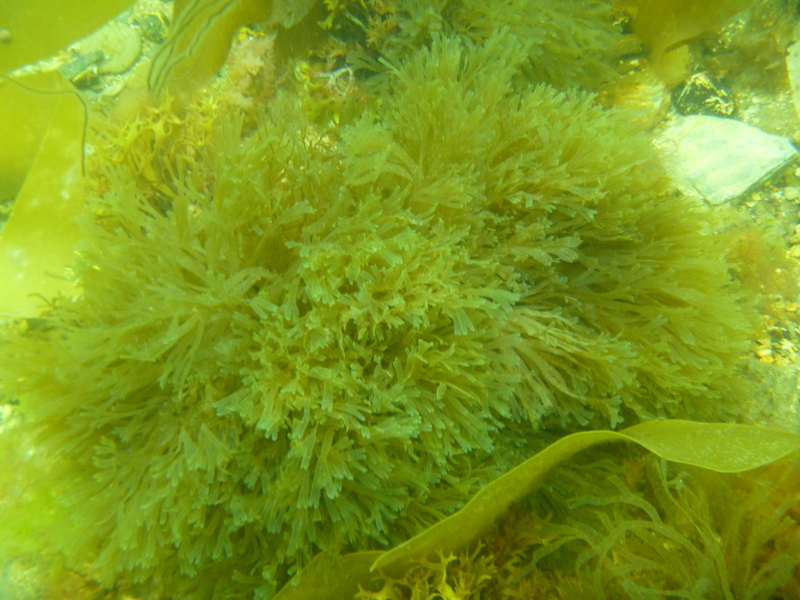 The kelp is covered by a not so pretty, large, fluffy brown seaweed which might be Pylaiella littoralis (first picture). 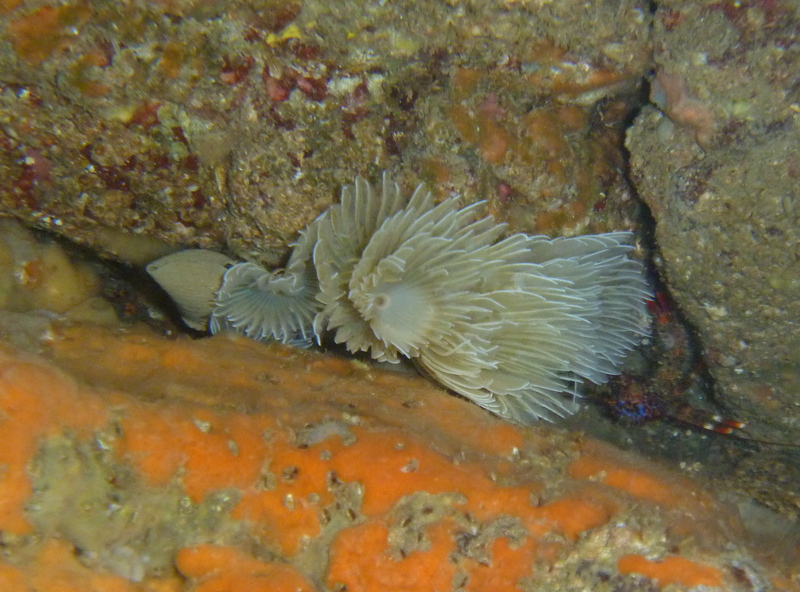 Large bushes of the slightly iridescent Dictyota dichotoma were also common, this is a species I have never seen in rock pools (second picture). 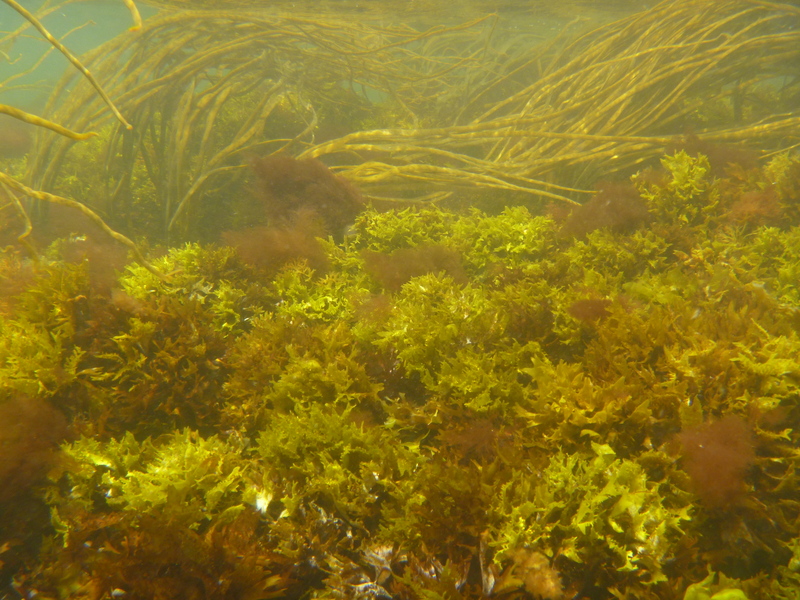 The rocks underneath the kelp are also home to many red seaweeds, notably Sea Oak (I have to get back for some pictures). 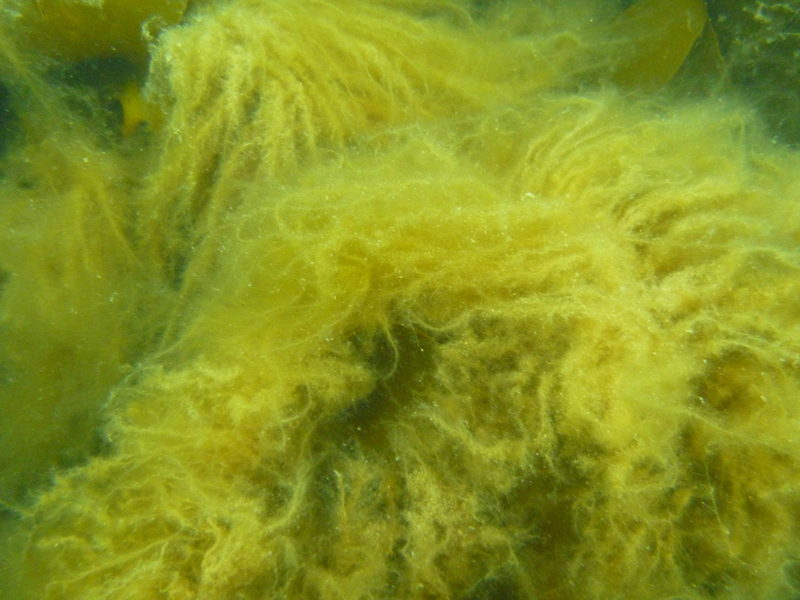 In the deeper channels there were many Mermaid’s tresses Chorda filum, more than five meters in length. The shallow rocks were covered with Thongweed Himanthalia elongata and Grape pip weed Mastocarpus stellatus with assorted epiphytic tufts of fine red seaweeds. 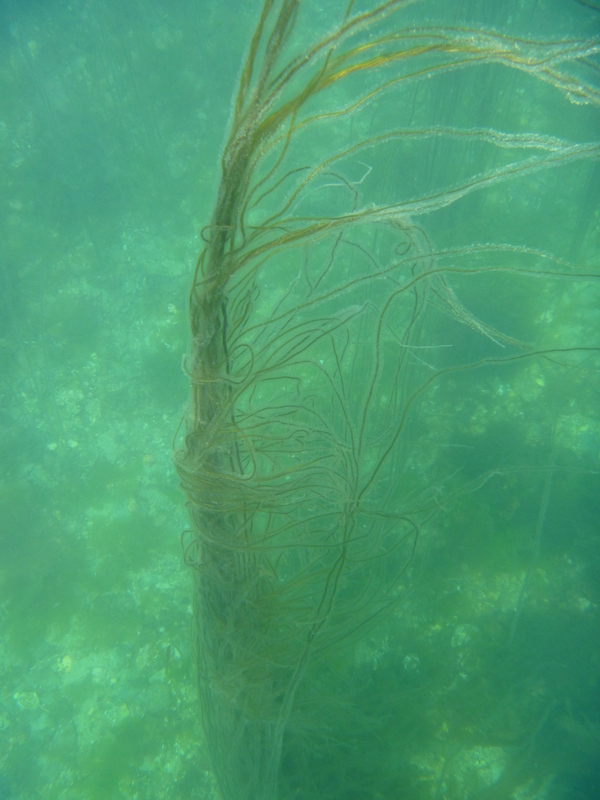 This entry was tagged Bispira volutacornis, Chorda filum, Dictyota dichotoma, Grape pip weed, Himanthalia elongata, Mastocarpus stellatus, Mermaid's tresses, Pylaiella littoralis, Thong weed. Bookmark the permalink.